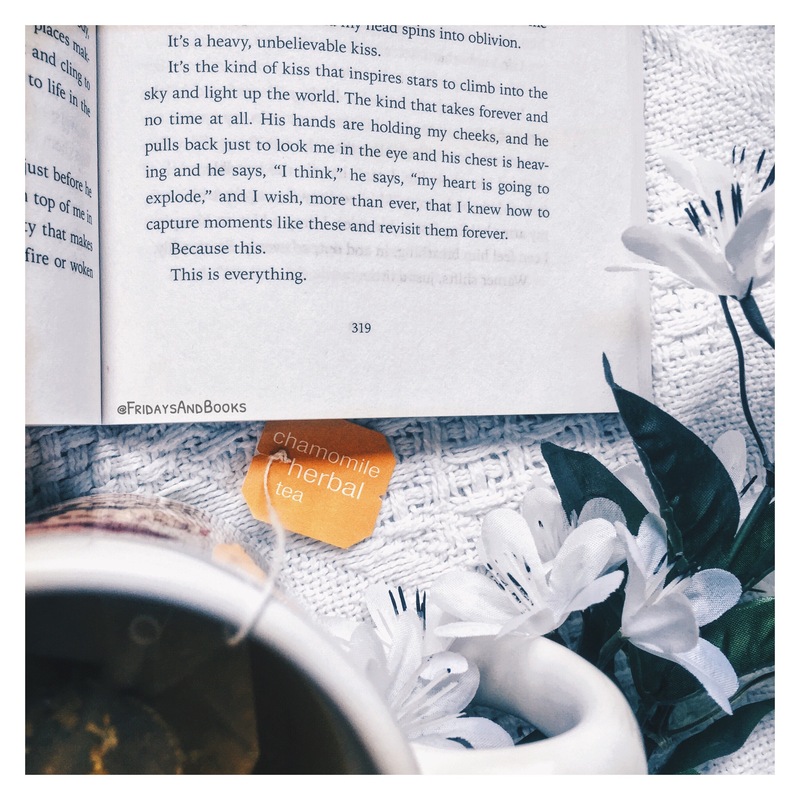 Today I wanted to talk a little about rereading books. So grab your tea or coffee and let’s talk books! I thought it this some this morning while I was rereading sections of Ignite Me by Tahereh Mafi. 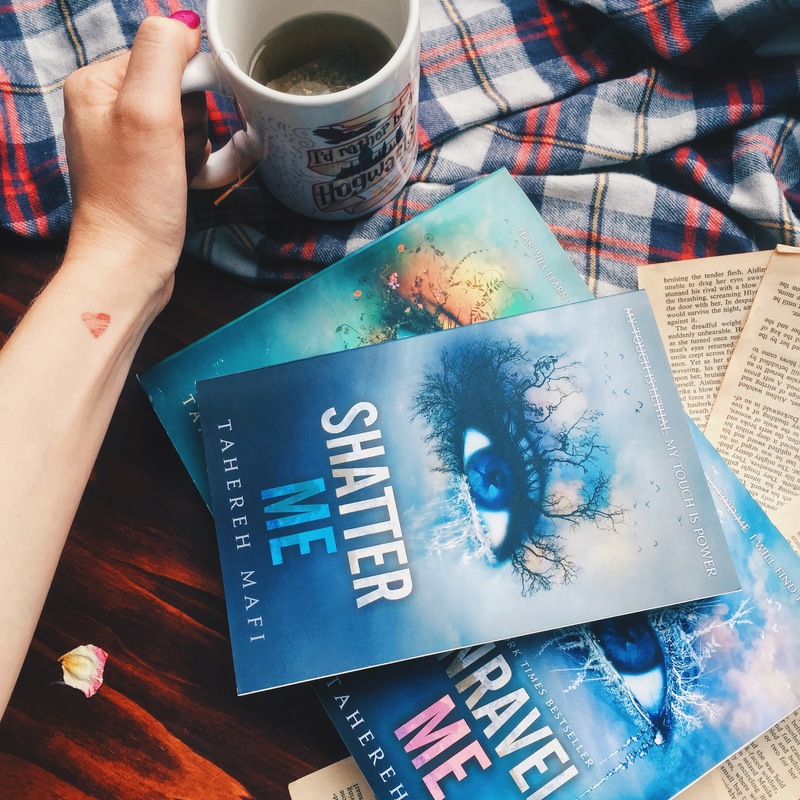 It is book three in the Shatter Me trilogy. Writing style: I think if a book flows really well in its writing, it can make a more pleasant reading experience that you want to go back and live again! I’ve read some books that have great plots/characters but jump around so much it forces you to concentrate harder on each word so you can keep up with the changes. There isn’t really anything wrong with this, it’s just not cohesive with a lazy evening reading and dozing 😉 It’s not that “comfort zone” atmosphere I look for in a reread. I could go on longer, but I thought I’d cut myself off right about here 😉 Let me know if you guys agree/disagree, or want to add anything! I love getting to know you and sharing opinions! Great photos! I definitely agree on your points as to why you reread. I also like to reread some parts of books if the character and I are very relatable. I feel like authors write certain characters that touch home to me and I love to reread deep conversations. 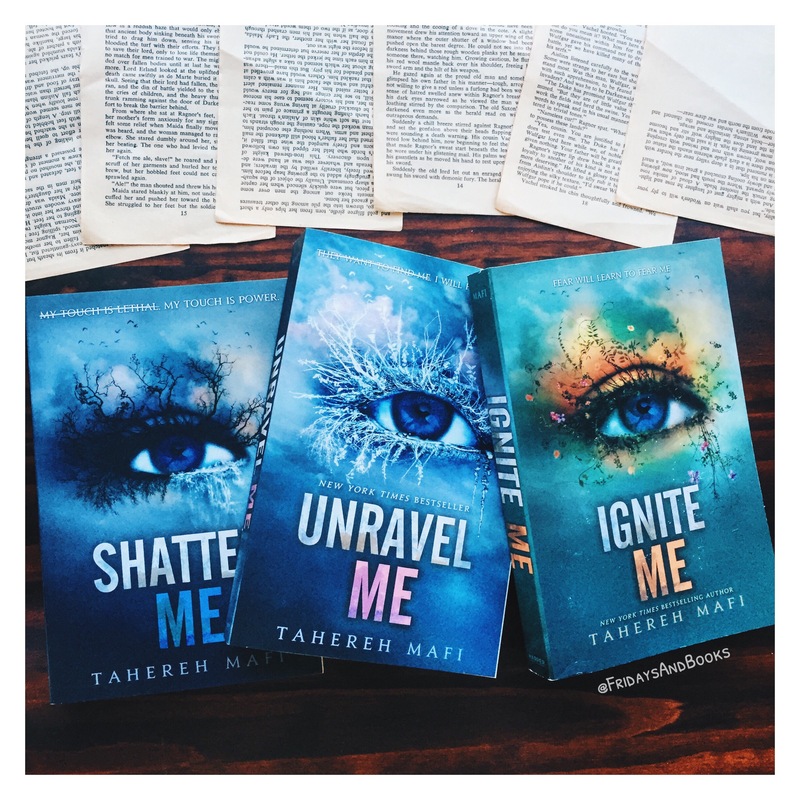 For a book/ series to warrant a re-read for me it has to leave an imprint on my mind, and in some cases on my heart (Clockwork Princess, this means you!). There are quite a few books I would some day re-read, but it’s those rare few that stay on my mind months or even years after reading them that I know I’ll re-read time and time again. Well, isn’t clockwork princess just the perfect example! I’ve only reread it about 5 times, along with the rest of the series 😉 It’s definitely true that books that leave an impression are great rereads! If you can’t forget about it, it must be special! Haha, I have yet to reread any of Cassandra Clare’s work.. despite my desire to. There are simply too many new books I’ve yet to read!! I re-read books too often, it’s probably why I have such a large TBR. Recently I’ve been trying to stop re-reading books and instead listening to the audiobook on my way too and from work and it’s been really weird getting over the different voices. I always give characters voices in my head and the audiobooks totally mess with it. It especially messed with me for Sarah J Maas books, I always read her characters with british accents, especially so in ACOTAR, that map shape, was just Britain with a few add-ons. Hearing them read with an American accent just weirded me out. Hahahaha, that’s awesome! For some reason in ACOTAR I read everyone with a British accent but Feyre. Like she’s this American coming into a new world, lol. But I definitely see how that can mess with you! My favourite voice I had for ACOTAR was Rhys. If you look at the map as Britain, then the Night Court would be where Scotland is, and I was reading him with a James Macavoy kind of Scottish/Glasgow accent haha. So weird, especially because I’m from there! Glad I’m not the only one who made them British though. One of my uncles moved to Scotland when his kids were young, so now they are adults but they all live in Glasgow and have the accent! And you’re right, that actually suits Rhys perfectly! Hahaha, I love it.